Sake is becoming the go-to beverage for many who like its light yet versatile profile, and especially goes well with Asian food. Many sake labels are written in Japanese and that can be troubling when choosing one for the occasion. Here are some tips on how to read the label (and choose one like a pro!) with some basic knowledge about the making of the rice base beverage. Sake is an alcoholic beverage brewed with rice, koji*, and water. The rice used to make sake is called saka mai or shuzō kōtekimai 酒造好適米. * Koji is a fungus used to break down the sugars in rice for fermentation to produce alcoholic beverages, which include sake and shochu. 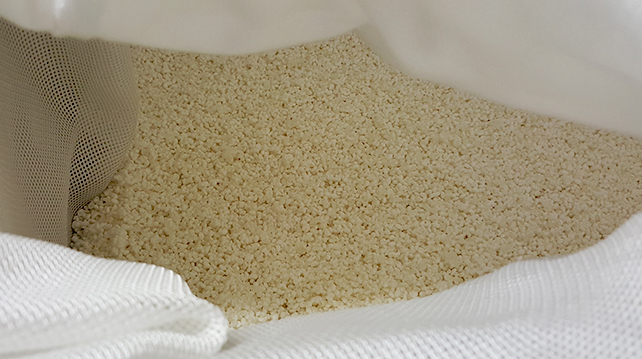 Different breweries use different strains of koji, depending on the flavour profile that the brewery intends to achieve with their sakes. “Sake” in Japan denotes alcoholic beverages in general. The fermented rice base beverage is referred to as “nihon-shu” in Japanese for the traditional alcoholic beverages or “sei-shu” which refers to clear alcohol. “Shu” means (酒) alcohol. 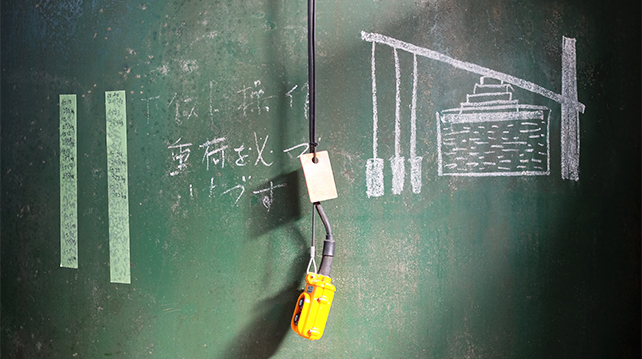 Every sake brewery is built near a natural water source so that they have easy access to water. Water plays a major part in the quality of sake and every brewery prides the water for their products. The minerals and nutrients can make or break the quality of sake. Minerals such as magnesium and potassium are favourable to the microorganisms that turn starch into sugar and then sugar to alcohol. On the other hand, minerals such as iron or copper will oxidise the sake and give it a reddish colour that is deemed inferior. Some prefectures are more famous for sake than others but it doesn’t conclude the quality of sake. There are about 1,800 sake breweries in Japan with over 10,000 different sakes. In recent years, sake sales in Japan itself have been decreasing and many breweries have started exporting to sustain their business. Sake is generally aged for 6 months to a year. It’s brewed between autumn and winter, aged during spring and summer and then shipped the following autumn. “Generally, breweries grade the quality of their sake based on the pricing. The more expensive it is, the more premium the quality is for the sake they make. However, every sake brewery has their own standard of what is considered premium so you can’t compare price points across the breweries in general. Instead it is more accurate to compare sakes within the same brewery if using price point,” explained Youichi Kiuchi, owner of Kiuchi Brewery, Ibaraki. “A person’s preference of sake is subjective. A RM200 bottle of sake may be your go-to and a RM1000 may not be up to par based on your palate. Taste different varieties to find the flavour profile that suits you. You may like one that is floral on the nose and refreshing, sweet and fragrant or a little dry and astringent, sometimes even umami (savouriness)… there are many different taste profiles and you shouldn’t restrict yourself to a few labels,” says Kelvin Teh, co-owner of Nomi Tomo. “You can figure out how the brewery view their sakes based on their label design. For example, the use of flowers can mean that the sake tastes floral; with Japanese characters it could mean a little more serious, colourful labels means more playful, etc.,” says Kelvin. 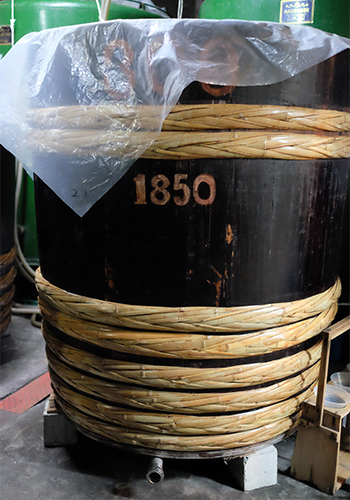 Polishing ratio精米步合 (seimai buai) - Shows how much the rice used to make the sake is polished. The percentage expressed is what remains of the rice grain by weight after the outer layers are removed, e.g. 70% polishing rate is a rice that has been polished by 30%. The outer layers of sake rice contain fats, minerals and proteins that give undesirable flavours to sake. The smaller the number, the more premium the sake will be. A minimum of 30% of the rice is polished before it is cooked. Premium sake will taste smoother and more complex, with less body, acidity and bitterness on the palate. 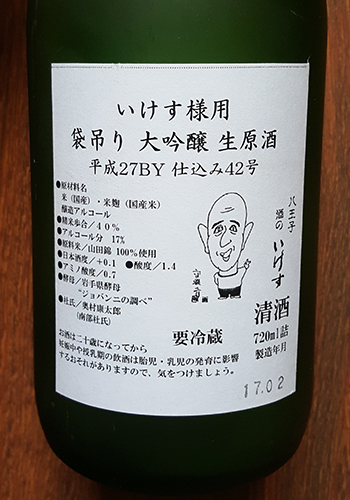 Alcohol percentage アルコール分 (arukōru) – Normally between 13% – 16% Among all brewed alcohol, sake contains the highest ABV at 20% then diluted to 13%-16%. Undiluted sake is called genshu. Sake Meter Value 日本酒度 (nihonshu-do) - Related to the amount of sugar in the sake. A negative number indicates a sweeter sake, while a high positive number indicates a drier sake. Most sakes fall within the -2 to +5 range. This indicator should be read together with the acidity level. Acidity 酸度 (san-do) - Measure of the quantity of acids such as lactic acid, succinic acid, malic acid, and citric acid, the amount of which determines its flavour, e.g. if a sake contains more lactic acid, it will taste sharp when served chilled, but when warmed up, the sharpness will be removed and the sake then tastes refreshing. Amino Acidアミノ酸度 (aminosan-do) – The higher the number of amino acids, the more savoury (umami) and full-bodied (or substance) it tastes. Lower level means a lighter and more refreshing flavour. Sake is consumed at different temperatures because it affects the flavours. The following is just a general guideline, and one should drink sake with an open mind. Sake recommended to be consumed warm – Sake that contains a high level of lactic acid such as those made of traditional kimoto or yamahai methods, cheaper sakes with added alcohol, sugar or flavourings to mask the roughness. Warming up these types of sakes removes the unpleasant flavours and makes the drink more delicious. This result of this process is called kan-agari. Junmai 纯米 can refer to either a type or a style of sake. 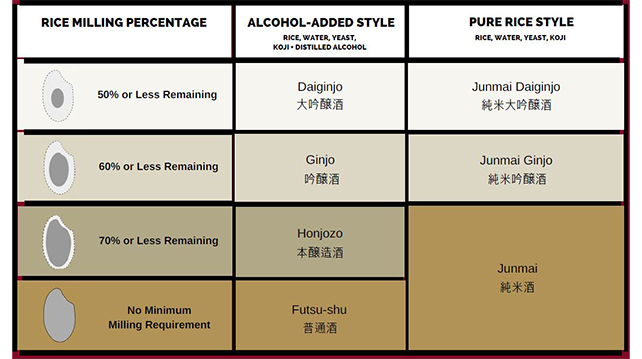 As a sake type, Junmai sakes tend to be more earthy, rich and heavy bodied. Great for food pairing. As a style of sake, it just means that there is no distilled alcohol (jozo) added to fortify the sake. This type of sake accounts for ten percent of the sales of sake in Japan. Honjozo 本酿造 sakes will have lighter flavour with rice aromas. This type of sake is meant for casual drinking, and to showcase a more traditional style, which gently complements food. Futsu-Shu 普通酒 comprises 70% of sake sold in the Japanese market. This type contains additives such as alcohol and sugar. It is a low-cost alcohol that gives Japanese a bad perception of the alcohol as it is said to cause terrible headaches. Ginjo 吟酿 is a large category which includes Ginjo, Junmai Ginjo, Daiginjo and Junmai Daiginjo. This is a more modern style of sake that has only been made in quantity since the 70s. They tend to have fruity/floral aromas with a light body and complex flavours. This is due to fermentation techniques and not due to additional ingredients. The Art of Sake subscription box is available in monthly Pay-As-You-Go format or 6-month subscription with free local delivery within Singapore from SGD88 to SGD168. Each box will contain two/three premium/ultra-premium bottles curated by their sake sommelier and come with detailed tasting notes. The sakes are sourced directly from Japanese breweries. Champagne Delamotte sponsors the recent Guest Star Chef Series, featuring the Otowa brothers. The GH Mumm Grand Cordon gets a chic update. Singapore’s largest craft sake festival is back again for the Spring edition. Five bottles you’ve got to add to your home bars. Two-time Malaysian Barista Champion winner Jason Loo shares about his passion for coffee, and wanting to put Malaysia on the map. Singaporean Thio takes the helm of the most unusual gin. Have you figured out where you’re going to lou hei? Pierre Jouanneau-Giffard shares why South East Asian bartenders are a valuable resource to him and the Giffard company.